Nagarjuna and Ram Gopal Varma have teamed up with each other after 24 years since their last release, Govinda Govinda. 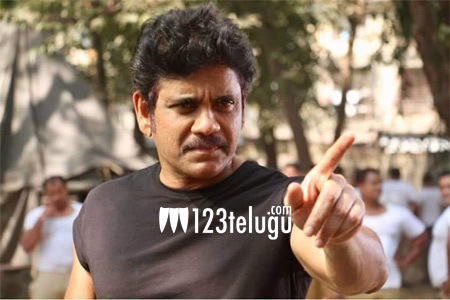 The duo’s latest movie is an action thriller and Nag will be seen as a police officer in it. As per the latest revelations, this much-awaited has been named as Officer. The title of this movie was supposed to be released a couple of days ago, but the makers delayed it due to the unfortunate demise of Sridevi. An official announcement will be made in a few days. Mumbai starlet Myra Sareen is the film’s female lead. R Company banner is bankrolling the project. Stay tuned for more official updates.